During the summer months, from May through September, the inside passage of Southeast Alaska offers world-class whale watching opportunities. Humpback whales migrate from their warm winter mating grounds near the tropics, to their northern summer feeding grounds. Due to their intensive feeding habits in the summer, humpbacks can be found wherever food, small fish and krill, is aggregating. While humpbacks are typically considered independent foragers, usually seen alone or in small groups, the whales will sometimes congregate in large groups when prey food sources are abundant. A high density of feeding humpbacks is what makes whale watching in Southeast Alaska so exceptional. In addition to the humpback whale, typically a money-guaranteed sighting, you may be lucky enough to see orcas, or killer whales as well. Orcas are not as common as humpbacks, mostly because they have a larger daily range and travel faster than humpbacks do. While it is debatable, many scientists now agree that there are three different species of orcas, two of which you may encounter in Southeast. You may see resident orcas, whose diet is comprised entirely of fish, or transient orcas whose diet is comprised of only marine mammals. Orcas are toothed whales, have well-developed brains and social systems, and are a very vocal species. They are exciting to watch due to their curious and whimsical demeanors. Their sightings are unpredictable, but when orcas are in the area whale watching boats will find them. The best place to watch humpback whales in Southeast, and perhaps all of Alaska, is in a remote part of Icy Strait between the small town of Hoonah and Glacier Bay National Park. In these waters is a spot where three currents collide: water from further inland flowing towards the Pacific, water from the Pacific ocean flowing eastward, and water flowing from Glacier Bay to the north. Here, at a point where land juts out into Icy Straits called Point Adolphus, there is an extremely high accumulation of food. As a result numerous humpback whales can often be watched from this singular location. As stated earlier, typically humpback whales are seen individually, but here whale watchers can often count upwards of sixty whales at once. In addition to humpbacks, steller sea lions, killer whales, and porpoises also frequent the area for feeding. This location provides a unique whale watching experience, where one can view cohesive feeding behaviors among whales, above surface whale activity like breaching and tail lobbing, and possibly even hear happy whale vocalizations. If you are planning a whale watching trip in Southeast Alaska, this is by far the best place to go. Some cruise ships port at Icy Strait Point, located on Chichigof Island near the town of Hoonah, Alaska. This is a popular takeoff point for whale watching trips at Point Adolphus. Whale watching trips can be booked through a cruise ship, on shore, or with smaller boat companies. Icy Strait Point contracts large 78-foot catamarans for most of their whale watching tours. This boat trip includes an on board naturalist, cultural interpreter, and complimentary warm beverage service. Another way of getting to Hoonah is via the Alaska Marine Highway System, the state-run ferryboats that circumnavigate Alaska. The most common place to book whale watching trips is from Juneau, Alaska’s state capital. In Juneau there is a multitude of whale watching companies, this being both a good and bad thing. On the positive end, one has a wide variety of choices and may be able to land a good price for a whale watching trip. On the negative side, one typically must share whales with many other boats. This is one reason why Icy Straits is the suggested place for whale watching. Being very remote and untouched allows for a more intimate experience with whales. 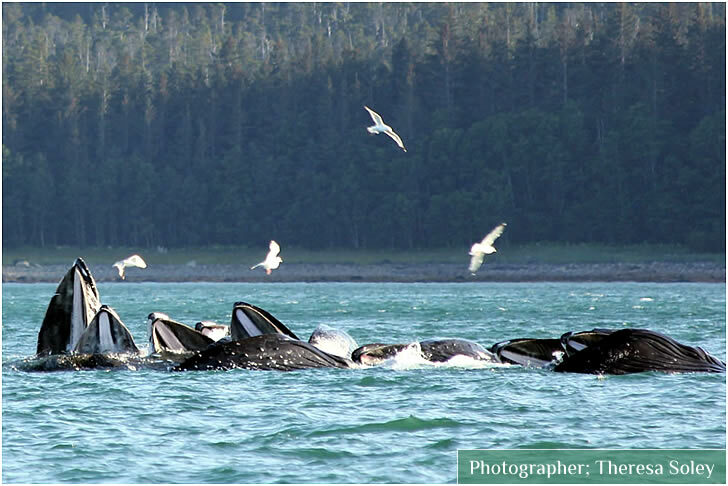 Juneau, nonetheless, has an abundance of humpbacks surrounding the city. Another advantage about whale watching from Juneau is the possibility of seeing a unique cooperative feeding behavior called bubble-net feeding. Bubble-net feeding is abnormal because a group of up to twenty whales may assemble and emerge together at the surface of the water in a giant explosion. This sight allows views of enormous expanded throat pleats, baleen plates, and pectoral fins. It is thought that when humpbacks bubble-net feed cooperatively, one whale blows bubbles and uses vocalizations to herd prey upwards. Meanwhile the rest of the whales swim beneath the fish, also pushing them towards the surface. While whales typically feed completely beneath the surface of the water, this feeding behavior is an amazing spectacle of surface level feeding. The best time to witness bubble-netting is from June through August. One of the largest whale watching companies in the world, Allen Marine, offers a variety of whale watching trips on large catamarans out of Juneau. Other local companies that offer trips on smaller boats include Gastineau Guiding, Dolphin Jet Boat Tours, Orca Enterprises, and Juneau Tours. Many of these tour companies sell whale watching trips aboard cruise ships, but you can get a much better price quote if you purchase your excursion either ahead of time through the company’s individual website or at port on the day of the trip. There are an abundance of boats that go out daily, so you don’t need to worry that space may run out. For the best price, barter at port on the day of the trip; vendors get desperate later in the day and may lower the price for you if you play your cards correctly. Gustavus is the gateway to Glacier Bay National Park and Preserve and also provides easy access to Point Adolphus. The Taz is a whale watching company authorized to enter the national park. 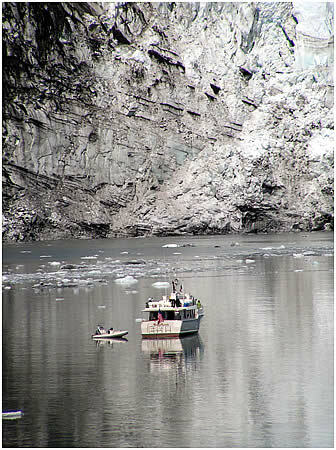 By entering the park by boat one can view a tidewater glacier while watching humpbacks or orcas. 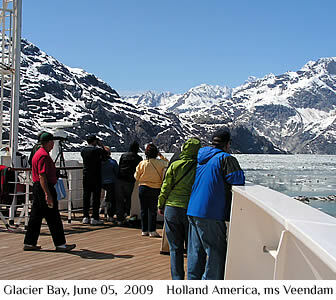 While Glacier Bay is a remarkable environment, Icy Straits is better known for its whale watching. What Is Baleen Baleen is a strong, yet flexible material made out of keratin, a protein that is the same material that makes up our hair and fingernails. Gastineau Guiding Company Juneau Alaska whale watching tours, shore excursions, guided hikes, citizen science trips and photo safaris for cruise passengers and independent travelers. Dolphin Jet Boat Tours Juneau Alaska whale watching tours from Dolphin Jet Boat Tours. Orca Enterprises Juneau Alaska Whale Watching. There is no better place for whale watching, and Orca Enterprises operates professional whale watching tours in Southeast Alaska. National Park Service Glacier Bay National Park & Preserve. U.S. Department of the Interior.